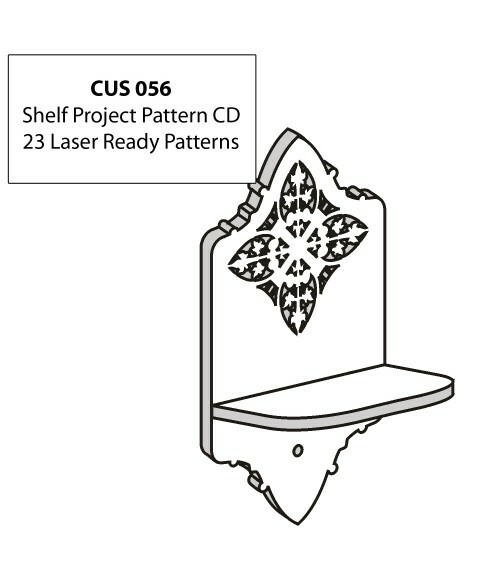 The Shelf Project Patterns CD contains a great selection of 20 laser ready patterns are perfect for expanding any product line. The detailed vector patterns and instructions included make each project a breeze to complete. This CD is compatible with CorelDRAW X3 and higher.